In the face of this stiff opposition came the army of young minds who could see through the impact of the new initiatives and were up to defend it against the venom of those poised to frustrate them… there are different organisations of young men and women forming themselves into progressive communication pressure groups in other places, convinced now that their voices must be strident, amplifying and strong enough to drown the rantings of the opposition. As a postgraduate student some years back, I chose to do a thesis on ‘Politics and the New Media’. That decision was inspired by what I envisioned was going to be a boom in new communication with the burgeoning fortunes of telephony in Nigeria and the rest of Africa. With the advent of the Global System of Mobile Communication (GSM) and the growing availability of internet facilities across our continent, I had no doubt that the future of politics was going to be determined and shaped by a wider scope of communicative culture, where restrictions, controls and censorships, as they were known, would become tall orders. I knew certainly that with telephones and internet compatible devices in citizens’ hands, so many conventions and norms would changed, especially in political communications. I was also confident that public opinion would no longer be monopolised and manipulated by the few aristocratic and elitist media owners. I also knew that a time was coming when even campaign funds would be raised and spent through communications technology. Obviously, no time in history has communication been so democratised than now. Voices no longer exclusively belong to the affluent who can buy airtime, pay for ample spaces in the print media and possess massive resources to toss the minds of the masses; swinging them in whatever direction that suited their elite whim at each particular occasion. The people can now tell their own stories! A government that is not conscious of the people’s mandate runs the risks of instant judgment. And in equal terms and quantities, a government that is well at home with the people’s mandate could measure the backing of the people through the ceaseless communication that tells the stories of its successes and groundbreaking attainments. Researchers in political communication must by now be conscious of an emerging trend of the progressive culture and its communication strategies that is well rooted in Osun, South-West region of Nigeria. As a case study, the emergence of what was initially a ‘ragtag’ group of scattered, zealous, young men, who simply noticed that there was a clear departure from the old order in governance and democratic norms, began to morph into a concise army of an highly organised youth group in defence of good governance. Those who have followed the Osun political space since the inception of the Ogbeni Rauf Aregbesola administration would have no qualms coming to the conclusion that it is a government that prides itself as “unusual” readily and, willy-nilly, puts itself up against all the arrows. Many might not have taken cognisance of the import of the swearing-in-day declaration by Governor Rauf Aregbesola on November 27, 2010 when he paused to announce that he would not follow the norms; he would break ‘rules’; and definitely upset the apples cart to achieve human development, the reason for his political adventure to Osun in the first instance. In an environment where political gladiators are only known to be gifted with highfallutin, grandiose speeches full of promises, it could not have been a surprise that most people didn’t take Aregbesola too serious with his promises then. Beyond the allure of demagoguery, how many campaigners keep their words anyway? Aregbesola has kept his. By the middle of 2011, about seven months into his first term, it was becoming clearer to those who never took much notice of the November 27, 2010 ‘threat’ that the governor meant every word in his promise to run an unusual government. By that time, the stage was already set for a new direction in education in the State. Also, with the conviction that the State needed a fresh face to attract new fortunes, a new brand was to be built in line with the new desires for the state. From these two components of the “unusualness” alone, Aregbesola’s had stirred the hornet’s nest, causing ripples that were never known in the history of the State since its creation. But the ripples were for the good! The adoption of the sobriquet, ‘Ipinle Omoluabi’ (State of the Virtuous); dumping the toga of the ‘State of the Living Spring’; a new flag; a new crest, garnished with an anthem, were to bring the State to confront a huge deluge of criticisms, ranging from the allegations of a secession plot, to the raising and training of militia to confront Nigeria. While the fire of that was raging with ferocious fervour, the assault on the rot in the education sector began with the re-classification of schools into the Elementary, Middle and High Schools. That necessarily culminated in the movements of students from some schools to other,s with all the attendant logistic issues. But those who were in a haste to abort the pregnancy of these ideas did not have the patience to wait to see whether the delivery would bring blessings or curses. 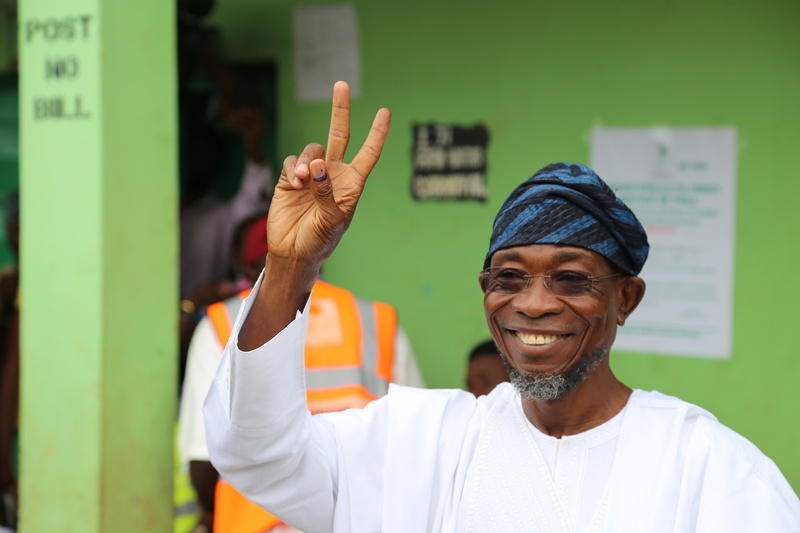 In addition to these reforms and many others that the Aregbesola administration determinedly brought forward, it was obvious that the state would be the centre of all attractions, especially given the eagerness of the opportunistic opposition to bring down the administration and return it to reckoning. This was further compounded by the existence of a populace that was tied to the old order and too rigid to explore new possibilities. In the face of this stiff opposition came the army of young minds who could see through the impact of the new initiatives and were up to defend it against the venom of those poised to frustrate them. As in many templates that have been adopted in other places and even by the federal government, I am of no doubt that there are different organisations of young men and women forming themselves into progressive communication pressure groups in other places, convinced now that their voices must be strident, amplifying and strong enough to drown the rantings of the opposition. In a way, the emergence of the Progressive E-Group in Osun further amplifies the strategic youth engagement of the Aregbesola administration in reforming the minds of young men and women and making them find fulfillment in befitting and gratifying ventures, rather than the destructive and demeaning engagements that the youth think are the last options in some other places. Had the environment under the Aregbesola administration not been conducive and encouraging, couldn’t these energetic men and women who have taken it upon themselves to defend good governance today be found as militants, kidnapers, fraudsters, prostitutes, armed robbers and other promoters social vices? But there is an established trend of progressive youth engagement in as illustrated by the creation of the Osun Youths Empowerment Scheme (OYES), Osun Rural Enterprises and Agriculture Programme (OREAP), the training of young farmers in Germany to acquire modern technologies in farming, the capacity building for young technicians in the repair and maintenance of communication devices such as laptops, telephone handsets, iPads, under the OYESTECH Scheme, etc. Members of the Progressive E-Group in Osun and other allies find their voices through the fresh capacities and power offered by the social media to say that these (the Aregbesola ways) are the ways to go. If anything, the Facebooking and tweeting generation in Osun has rescued the State from what could have been an invasion by the anti-progress elements and elites. Of course, it is a reality that these elites would always rise up against such people-oriented governance simply because it erodes their hitherto unchallenged monopoly and manipulation of the people to keep them down, while trampled upon. In clear terms, the communication technologies that the electorate live with every day of their lives also offer them the power, just as their votes do, to remove bad governments and support good ones. The power, from all indications now, lies with the people. Semiu Okanlawon is special adviser on information and strategy in the State of Osun.